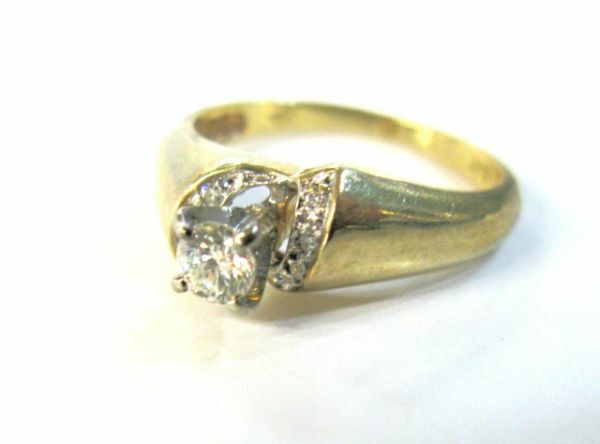 A beautiful vintage 14kt. yellow and white engagment ring, 1 claw-set round brilliant cut diamond, est. 0.20ct (clarity:SI1 & H-I colour) and 6 bead-set single cut diamonds, est. 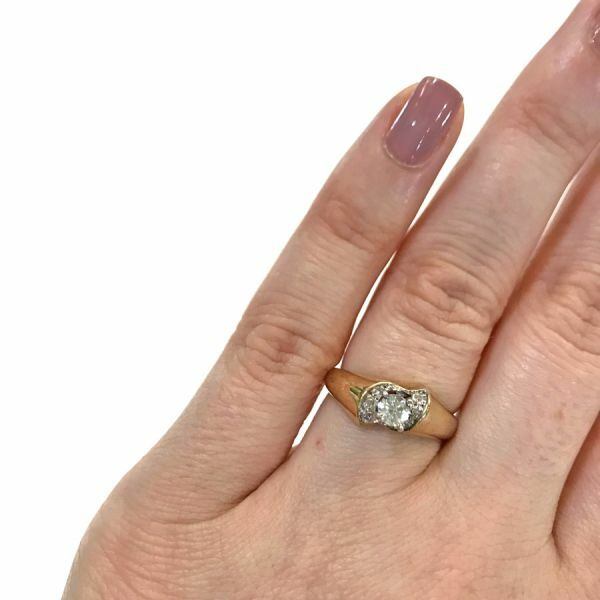 0.04ct (clarity:Vs-SI1 & H-I colour) that are set off-centre in a half moon motif.